Bree is based in Padbury and specialises in Residential Property Management of investment properties located in the Northern suburbs of Perth. 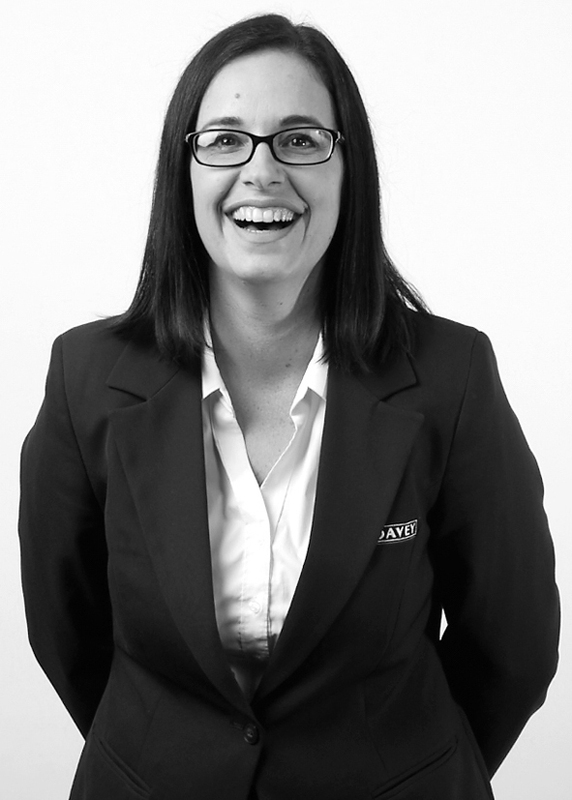 Bree commenced her real estate career in 1997 acting as a receptionist in a busy office, this is where she gained the knowledge & skills to become a Property Management assistant. In 2000 Bree joined the Davey Real Estate group as personal Secretary to Mal Davey the CEO of the Davey Real Estate group. During this time she multi tasked several key roles & managed the Trust account for one of the busy offices. In 2004 opportunity knocked and Bree became one of the inaugural staff members of the Davey Real Estate Doubleview office (now Davey Scarborough) & worked on growing its rental portfolio from the ground up. In 2005 Bree made the move into Selling Properties where she & now husband Sam Hedges became a formidable force. Bree has been working behind the scenes & filling in for the Property Management department while raising their 3 beautiful children. For over 20 years she has prided herself on strong customer service, maintaining good communication between owners/ clients and indicates that as the key to her success! In 2015, Bree was inducted into the Peg Davey club after celebrating 15+ years of working with the Davey Real Estate group. Renting with the help of Bree Hedges has been fantastic. Stress and problem free and easy to communicate with. Best experience I've had so far in renting and made my time there a breeze. I've been renting through Bree Hedges for almost two years and she has honestly been a pleasure to deal with the entire time. I can't thank her enough. Definitely look her up if your in need of a real estate agent she'll make sure to look after you!!!!! I was renting through Davey realestate and I had Bree Hedges as my agent. She was amazing. Very friendly and attentive. If it wasnt for moving interstate I'd most definitely still be enjoying the home I rented through her. Very helpful and accommodating rental agents, I have rented through. Would like to thank Bree Hedges for her great support and prompt services extended to us during our tenancy period as a property manager. Very happy with Bree Hedges as she informs me when inspections are due and done i.e. RCD testing, pool inspection etc. Very polite over the phone and helpful. Bree has been really good. I have found her very hands on and calls rather than emails which is great when my property was empty for so long. We appreciate the service we receive and the personal approach works for us. Prior property managers have done a good job but Bree has been that bit more personal. Bree has maintained very good communication. "Bree always responds to my emails on the same day"
"Since renting our current property via Bree the response has always been excellent, speedy customer service!" "Bree is always quick to contact me regarding any issues with my properties or tenants; she is also very quick to respond to any issues I may have"
"Bree is very good with her communication and keeps us informed"
JAM PACKED FAMILY HOME COLL DOWN IN THE SWIMMING POOL ON THESE HOT SUMMER NIGHTS! CUL-DE-SAC LOCATION WALKING DISTANCE TO ILLAWARRA PRIMARY SCHOOL!